St. Kevin’s Boys under-16 side will take on two of England’s top youth clubs Fulham and Brighton & Hove Albion FC. 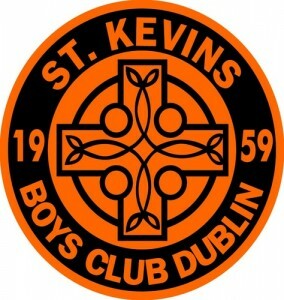 St. Kevin’s Boys are a well-known Dublin based boy’s football club synonymous with developing some of Ireland’s finest young players such as Liam Brady, Damien Duff, Ian Harte, Stephen Carr. Taking on Brighton the boys will get to test their wit against the Southern club’s high-intensity and possession based football, seen weekly in their brand new £35m training complex. The true test will perhaps the Fulham match. Fulham of course are a club who have hugely redeveloped their academy in recent years, recently winning the Under-18 Academy Premier League title. Noe Baba, who is managed by DB Sports Tours, plays for Fulham and is an Ireland captain. The trip promises to be another great opportunity for players to showcase their talents and be in with a chance of getting signed by an English club. Two players, Richie English and Thomas Byrne, who are part of the St. Kevin’s Boy’s under-16 side have this week been named in the Ireland under-16 side for the upcoming development tournament.